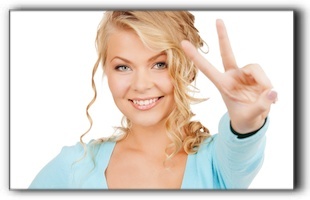 Mother Theresa once said, “Peace begins with a smile.” Perhaps that peace should start with the person who is smiling. How do you feel about your smile? Are you at peace with it? Are you proud to flash a wide, happy grin? Do you believe it is beautiful? Does it express your best self? At Mason Dental in Grapevine, we can help you with your smile using cosmetic dentistry. Rest assured that there are ways to redo what nature has given you or cosmetically remedy problems that have affected your once-pleasant smile. Talk to us about how you can achieve a smile you can be at peace with via cosmetic dentistry services like porcelain veneers and teeth whitening. Cosmetic dentistry from Mason Dental in Grapevine can transform your smile into something truly special. Ask us about our smile design service. Make an appointment today!